As November’s chapter of the Ebola crisis in Sierra Leone closes, so does the gloomy and desperate cycle of infection and transmission of the virus continues, in this the first week of December, with over 6,000 people now officially confirmed as Ebola positive. While this figure represents just the tip of the iceberg, critics of the government say that the true figure now stands at close to 10,000 across the country. But if the total cumulative number of confirmed cases can be disputed, what cannot be contended is the fact that on a daily basis in Freetown alone, about 80 dead bodies are collected by the burial teams across the city. So with the ending of the month of November, new milestones were recorded as Sierra Leone continues to lose the fight against Ebola, which both Guinea and Liberia appears to be winning. A different, well organised and soberly coordinated lockdown is now needed. Over a third of all cumulative confirmed Ebola cases in Sierra Leone, were recorded in November alone, since the Ebola record began in March 2014, as a total of 1,935 new cases were recorded in the whole country that single month – a massive total of about 387 new cases every five days. Freetown – now firmly entrenched as the epicentre of Ebola, also recorded a new milestone – its first 2,000 cumulative cases since March 2014. Will it record an additional 2,000 new cases by the end of the year? And when the national figures for the previous three months of October, September and August are examined, it is quite clear that those responsible for tackling the virus in Sierra Leone are losing the battle. Compared to November, in October there were 1,498 new cases recorded, with just under 300 new cases discovered every five days. In September, there were 913 new cases recorded, with a much manageable total of less than 183 new cases recorded every five days across the country. And in August, a month after the death of Dr. Khan, although figures for a whole twelve days – that is from the 1st August to the 12th August were missing from the government’s records, there were 344 officially confirmed new cases. So what is evident now is that the total number of new cases that were recorded in just one single month four months ago, is now being recorded in just five days. Sierra Leone is seriously losing the war against Ebola, and stronger measures – including a better and soberly organised lockdown, must now be enforced, if the country is to escape annihilation. 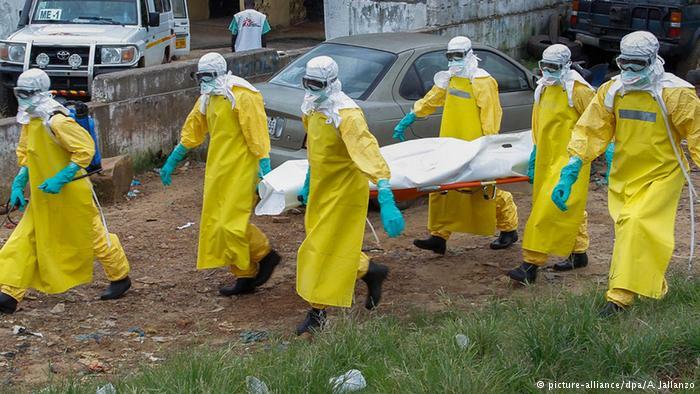 And when the monthly numbers of deaths for each of the last four months are analysed, the results are also damning, pointing to the fact that the war against Ebola in Sierra Leone is rudderless – no one appears to be in charge and no concerted strategy in place. By the end of August, there were 387 recorded deaths; but in September there were 162 deaths in that month, with 913 new cases; October 510 deaths, with 1,498 new cases; and November there were 463 confirmed Ebola deaths, with 1,935 new cases confirmed. Yesterday, the UN Special Envoy on Ebola, Dr. David Nabarro, told reporters in Freetown, that; “There has been an extraordinary response to the Ebola crisis.” Whilst this may be true, what is now evidently clear is that the response has been less than effective. (Photo: Palo Conteh – left. Courtesy of Awoko). 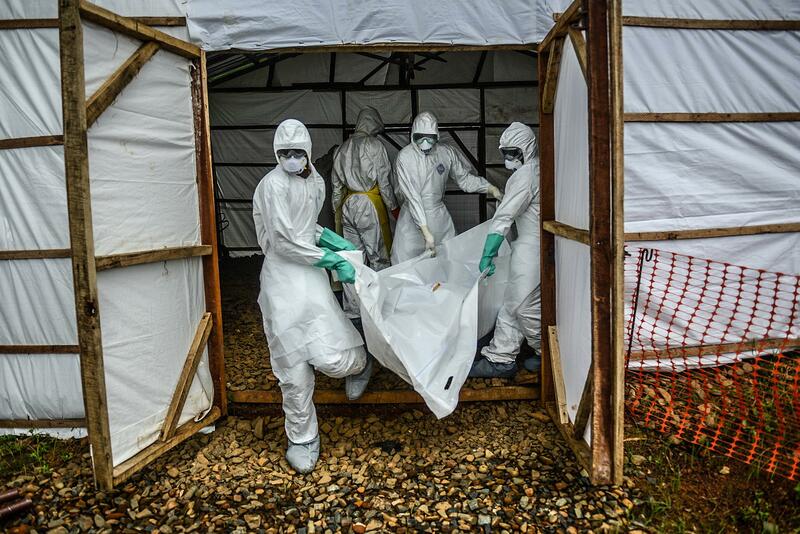 It is no longer about quantity of response, but the quality of response and the outcomes achieved for each unit of quantified resource allocated in the fight against Ebola, as thousands more are now poised to die in the coming weeks. The UN targets set two months ago are for 70% of all dead bodies to be collected and buried safely; as well as 70% of all new cases, placed in treatment facilities across the country. There are still only 400 beds available in Sierra Leone, with over 3,000 sick people thought to be languishing in their homes and transmitting the virus, without access to treatment beds. And by its own admission yesterday, those 70 – 70 UN targets are far from being achieved in Sierra Leone, as health workers continue to be overwhelmed by the ever increasing cases of new infections and spiraling transmissions. The new treatment centre at Kerry Town, that was recently opened, has also come under strong criticism. Out of a total of 80 beds at the centre, only fourteen have been occupied. Save the Children – the organisation running the centre says that it is putting safety of its limited number of staff, first and foremost, by keeping admission levels low. But what has happened to the hundreds of British military and NHS medics that are already in Sierra Leone to save lives? Where are they posted? What impact are they making on the ground? Critics, including the former minister of defence – Palo Conteh, who is now charged with heading the government’s Ebola response strategy, say that handing over of the Kerry Town centre to Save the Children was a mistake. 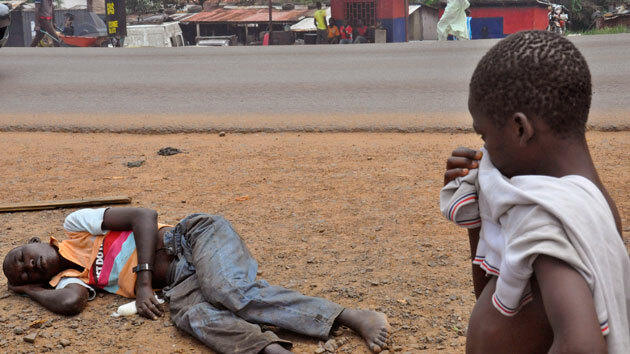 Save the Children, critics say, lacks the human resource to manage an Ebola treatment centre. But who is going to make sure that the necessary measures are put in place? And who is going to provide effective and credible co-ordination, which is still after eight months, clearly lacking on the ground? Last week, the UN representative on the ground in Sierra Leone – Amadu Kamara, complained that lack of effective coordination is the reason for the uncontrollable and worsening Ebola crisis in Sierra Leone. The rates of Ebola infection and transmission in Sierra Leone do not make for pleasant reading. It is worrying, as the figures in the last four months testify. But critics point out to the lamentable failure to provide a sound, effective and credible coordinated strategy. Hence, what is likely to be achieved in the next 60 days is nothing more than has already been achieved – an average of 300 new cases every five days, which in 60 days is expected to be 3,600 new cases to be precise. 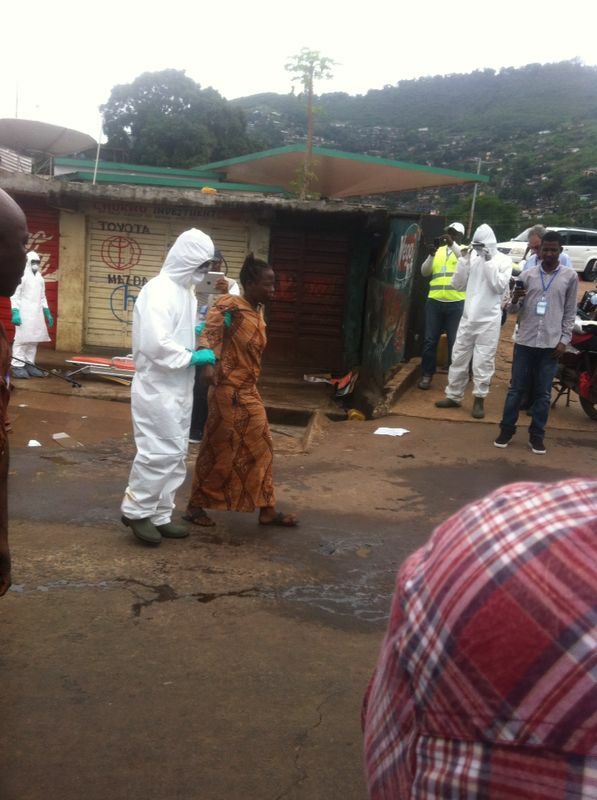 But how long and how many deaths more, before Sierra Leone can begin to see an end to Ebola? Looking at the national pattern and cycle of new cases being reported across the country in the last two months, it is now clear that Freetown, Bombali, Port Loko, Tonkolili, Kambia and Koinadugu, are the Ebola hotspots. There now needs to be implemented a smarter, well organised and properly coordinated lockdown of these districts, including the capital, for a period of five consecutive days – including weekend, to enable a door to door visit by trained medics to trace those showing signs of infection. 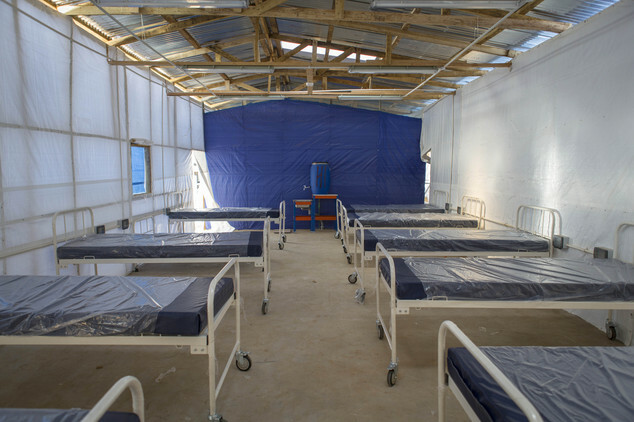 But for this to happen, more holding and treatment beds must be put in place now, in order to accommodate the more than 3,000 new cases that are likely to be discovered during this new lockdown exercise. This new lockdown must be properly enforced by Sierra Leone’s military, under the supervision of the British troops that are already in the country. Will president Koroma muster the political and moral courage to announce a proper and more effective lockdown this time?